This entry was posted in August 1987 and tagged A man can lose himself in London by Ian Jones. Bookmark the permalink. I used to think that too – until I worked down in the Docklands in 1989 and was forced to get it every day from Tower Gateway to South Quay. It NEVER worked. 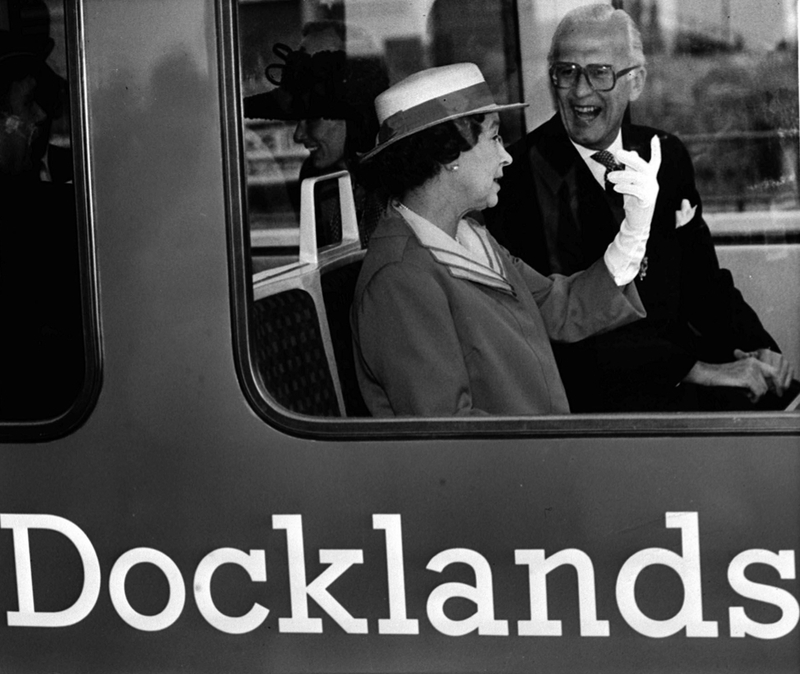 It was a total nightmare, so much so that someone from the DLR came in one day to give us a reassuring talk that it would one day get better, but that it was a work in progress and the staff who sang Happy Days Are Here Again over the tannoy to highly disgruntled passengers had already been sacked. By the time I left 1995 it was better, they’d opened the Bank branch and Canary Wharf was up and running (sort of), and no one has ever looked back. I’ve not been on it for years, but I too still love the novelty of pretending to be the train driver. I remember going on it when it very first opened. I grew up in Greenwich and I pestered and I pestered my parents to take me on it, until they relented and we went under the river in the foot-tunnel and waited at Island Gardens. We got off at some station in the middle, probably where Canary Wharf is now. There was nothing there, just a station on a concrete sort of runway between two massive empty docks. There was a marquee I remember with an exhibition about what was planned and a model of what was coming (which as far as I can remember was actual quite modest). I remember being absolutely blown away by the futuristicness of it. However, abiding memory of that day is of cutting myself as I played in the pond outside the pub on Blackheath that evening while I waited for my parents to come out.